Welcome to the practise of Dr. Margaret Wojda at Emerald Dental. We are located at 171 East 1st Ave in Vancouver, near Science World and the Main St. Science World skytrain station. Dr. Wodja is a knowledgeable and experienced general dentist with at orthodontics, with qualifications in endodontics, pediatric dentistry and cosmetic procedures such as botox. Our goals is to make Emerald Dental a one stop office for your entire family’s dental and oral care needs; a place where each patient will feel comfortable and professionally cared for. We keep a clean, modern office with emphasis on sterilization of equipment and maintaining a high level of safety for all of our patients. If you are looking for a new dentist in the Vancouver Science World area, we encourage you to come by our office or give us a call. 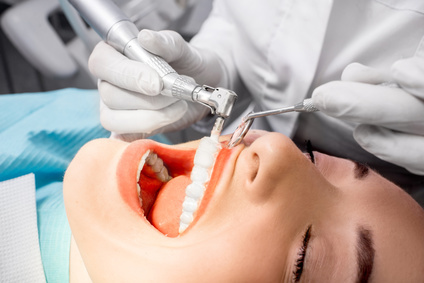 Whether you are just overdue for a cleaning and checkup or have a need for more extensive treatment such as oral and maxillofacial surgery, we will work to accommodate your unique situation and formulate a treatment plan that fits within your lifestyle, schedule and budget. We accept all major insurance plan providers and have payment plans available that may be of assistance to help you cover the costs of your treatment in a manageable way. At Emerald Dental, we believe that high quality dental care is an investment in one’s overall health and wellbeing. We encourage our patients to come in every six months for a cleaning and checkup to ensure optimal oral health and catch any potential problems before they worsen. While tooth decay and other dental problems are less prevalent than ever before- thanks to improved awareness of proper home care, water fluoridation and more effective preventative programs- problems can still arise. We understand that going to the dentist is generally not something a patient looks forward to, but rest assured that our team here at Emerald Dental will do everything we can to make your visit as comfortable as possible. We offer sedation dentistry options for patients who suffer from anxiety or dental phobias. We will explain any procedure or treatment in advance so that you know what is going to happen. We also welcome feedback from our patients and encourage open communication between dentist and patient. Thank you in advance for choosing Emerald Dental to care for you and your family’s dental health!